I wanted to stop buying things again and in fact wanted to cancel out buying the Surface Pro. I’ve been very happy this year and in a large part this is because I’ve not bought anything. Over the last two weeks after buying the Surface pro 3 I’ve been gradually drawn into buying more and more stuff and the Amazon wish list’s been growing at a pace. I needed an SD card, a case, a bag, maybe a bigger SD card, a spare stylus, a dock, some cables, a spare power supply, a few Windows Store apps and on it goes, buying addiction in action. I bought the Surface Pro 3 mainly for reading, writing and reviewing. Unfortunately for writing it pales in comparison to the ThinkPad x230 that I already have. For almost all reading it can’t compare to the iPad Mini. For reviewing it’s great, but I will have to get over that, or wait for work to buy me another Tablet with a stylus. The battery life is terrible for me, because I work in bright spaces I need the brightness up high, result, about 3 hours before it dies. I could just about cope with that if I was just using it as a laptop, but it’s not enough for a multi-use device. My Thinkpad lasts 4-5 hours and I have a spare battery. I thought I would really like reading magazines on the Surface Pro 3, I used to love reading paper magazines years ago. Unfortunately after a few trials with Zinio I realised that I now hate reading magazines and their complex, advert dominated layouts. Every time I tried reading a magazine I was dreaming of getting back to Instapaper. I learned that I can just about cope with a track pad (rather than the ThinkPad’s track point) but I really do like the dedicated ThinkPad mouse buttons. Dedicated buttons work 100% of the time, the track pad taps and double taps worked about 80% of the time, resulting in a constant stream of little annoyances I can live without. There were a few other niggles about the form factor that I could have coped with, but for those I’ve listed above. One of the funny ones was that I was keen to read more white papers and A4 reports. I thought the Surface Pro would be great for this, and it was, but in the end I found that the reason I didn’t read them before was not because I lacked the perfect device for the job, but because they are boring. Suffice it to say that after the novelty wore off I stopped reading them again. These issues slowly worked their way through my brain and after two weeks I’d fully conquered the gadget lust. I’d promised myself that I would use the Surface Pro 3 as my only PC for 2 weeks, so yesterday, two weeks on, I opened up the Thinkpad and it felt like coming home. The decision was easy. Particularly easy because I think Anna will really like it, she’s young and adaptable to new things in a way that I’m not. She’s likely to make much more use of Windows Store apps than I do and hopefully she will get to make a lot of use of the pen and the magical OneNote integration (I’m not a note taker). I wrote this post sitting in Caffe Nero tapping away on my ThinkPad, it’s dramatically more enjoyable to type on in the comfy chairs that I prefer and my typing accuracy is considerably higher. I’m going to miss the keyboard backlight though! 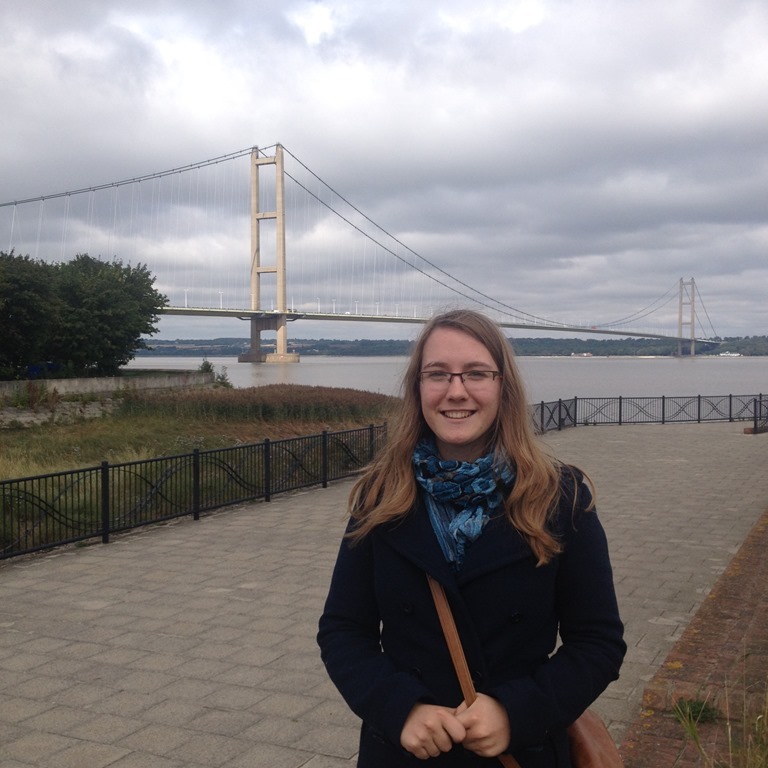 The photo above was taken with my eldest daughter, who is soon to be enjoying the gadget capital of the world for a year, it was on this break hiking around Hull that the Surface Pro 3 was tested out as a travelling companion and it failed.